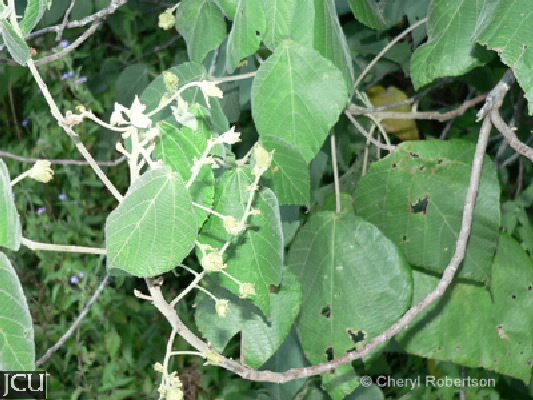 A tall spreading shrub with broadly ovate to rhomboid leaves up to 14 cm long. If you look carefully there are 2-4 flat glands present on the upper surface near the junction with the petiole. Leaves are 3-veined at base. Flowers yellowish with large green bracts toothed on the margins. Fruit a capsule covered in bristles and yellowish glands.